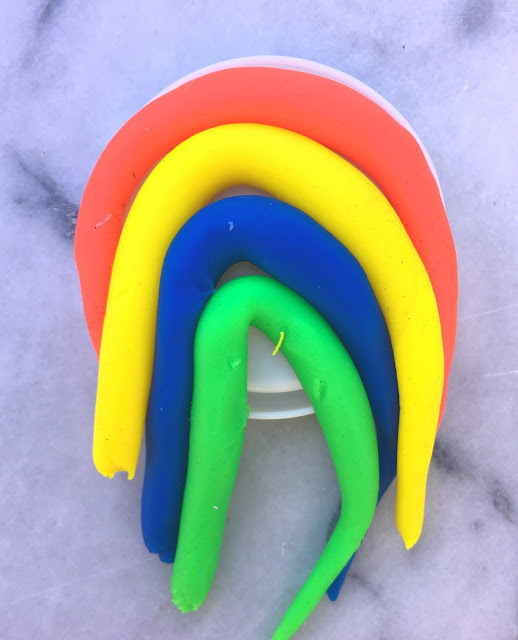 This St. Patrick's Day we're taking Rainbows to a new level. 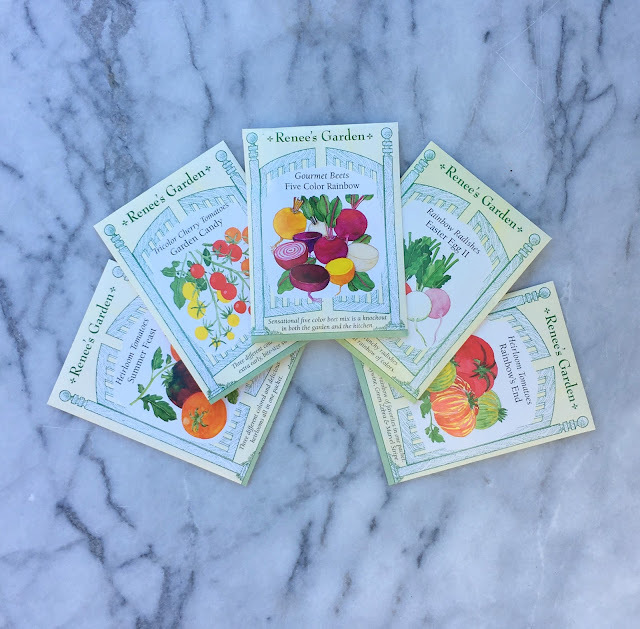 Not only are we making them, we are growing them. 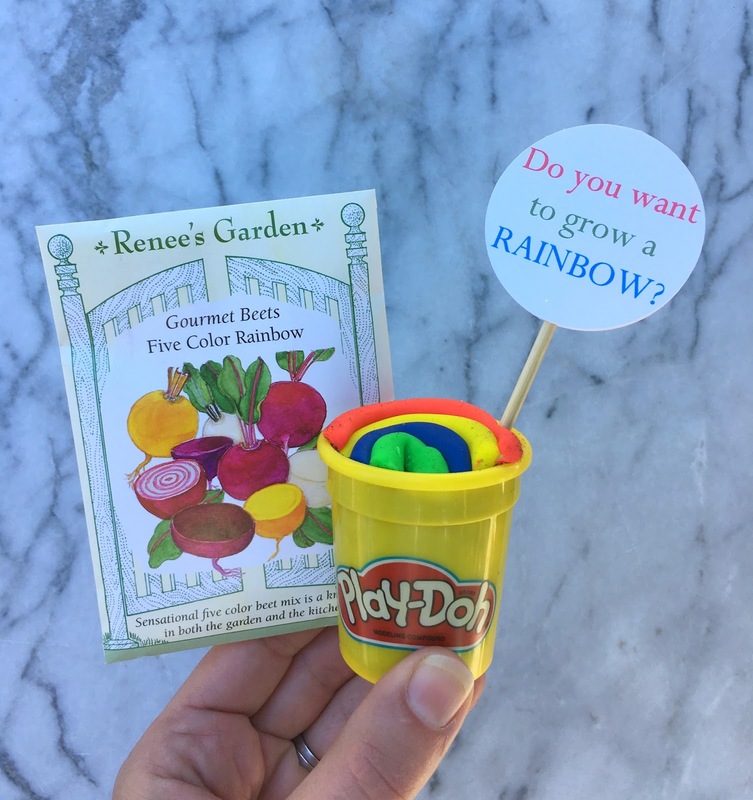 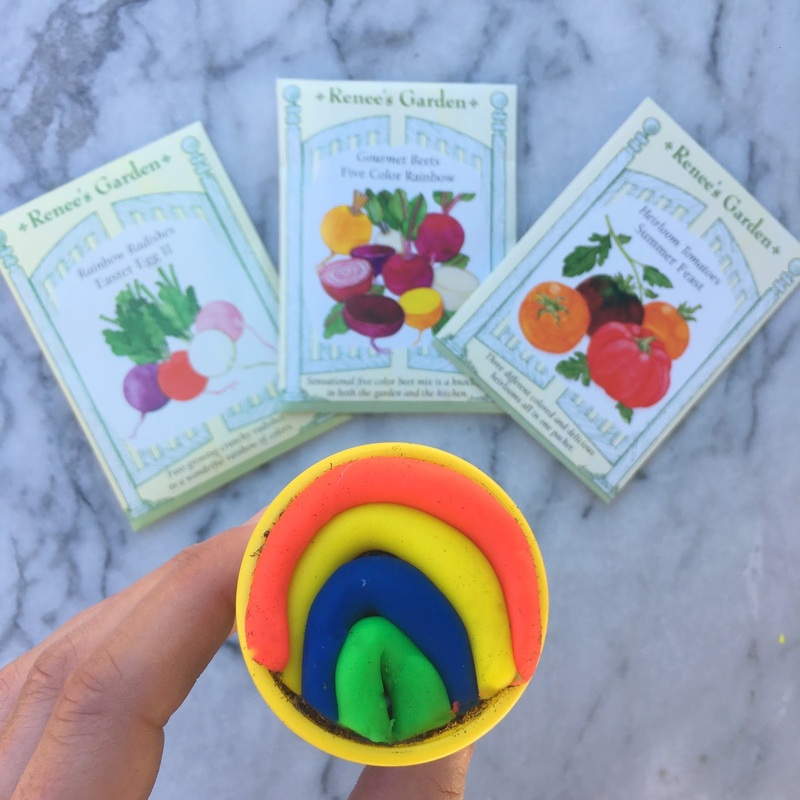 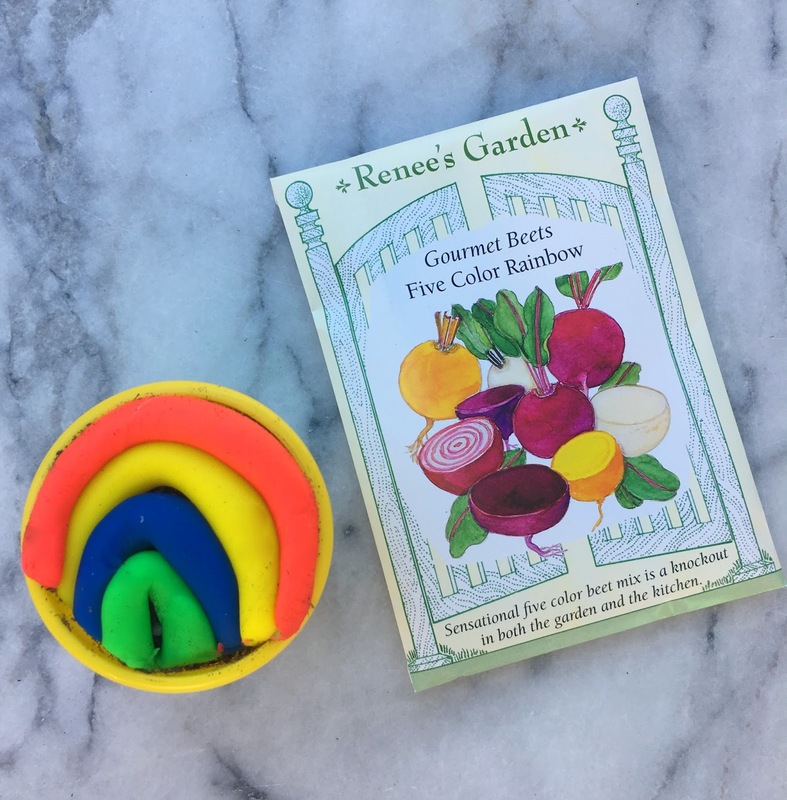 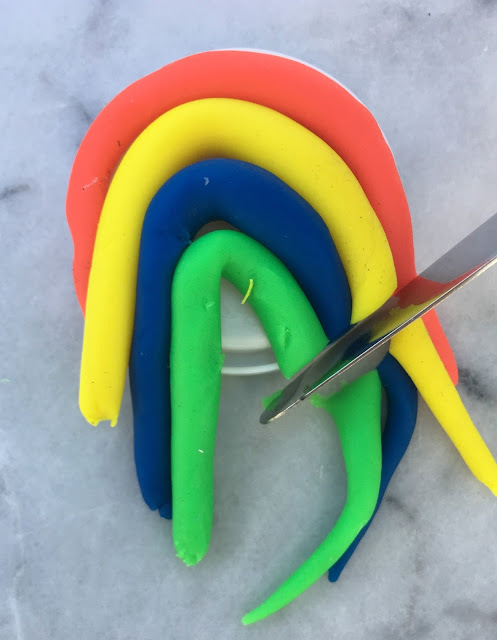 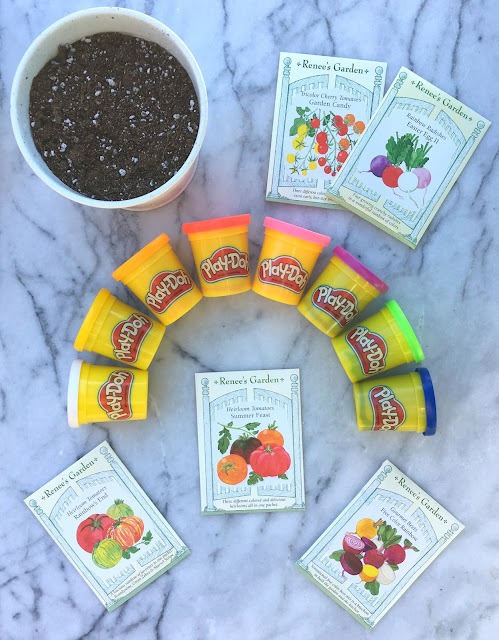 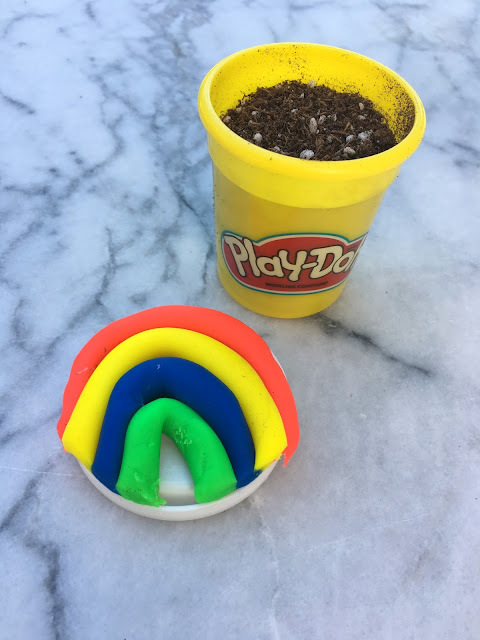 Play-Doh Rainbows that lead you to a Pot 'O Veggies! 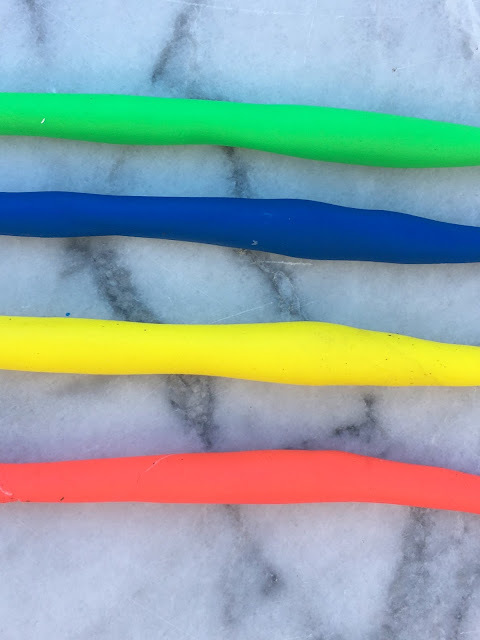 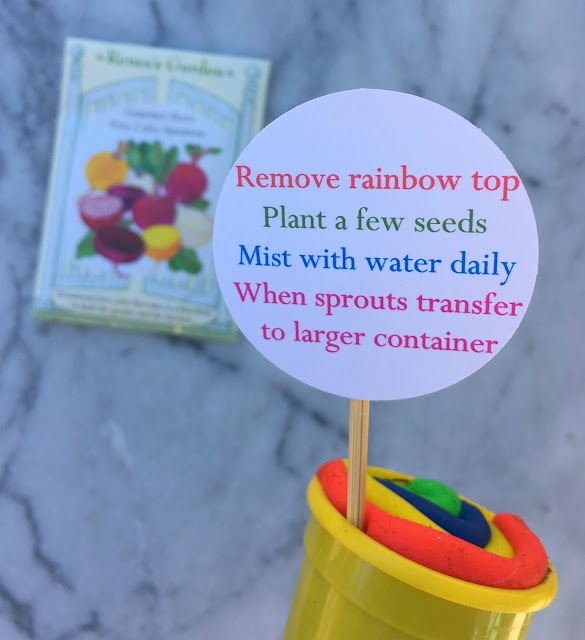 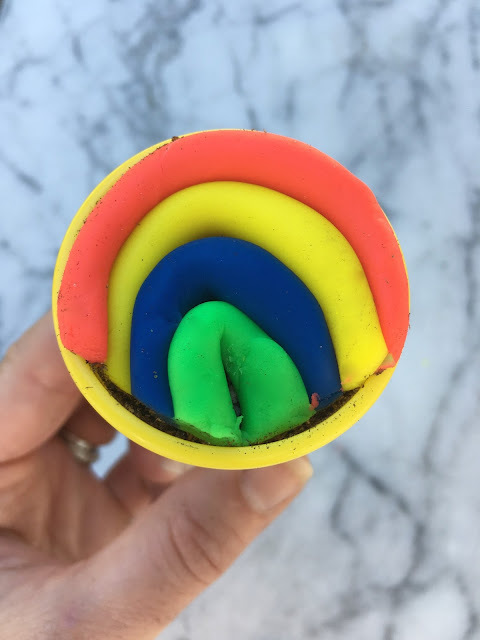 then place your Play-Doh Rainbow on top of the soil. 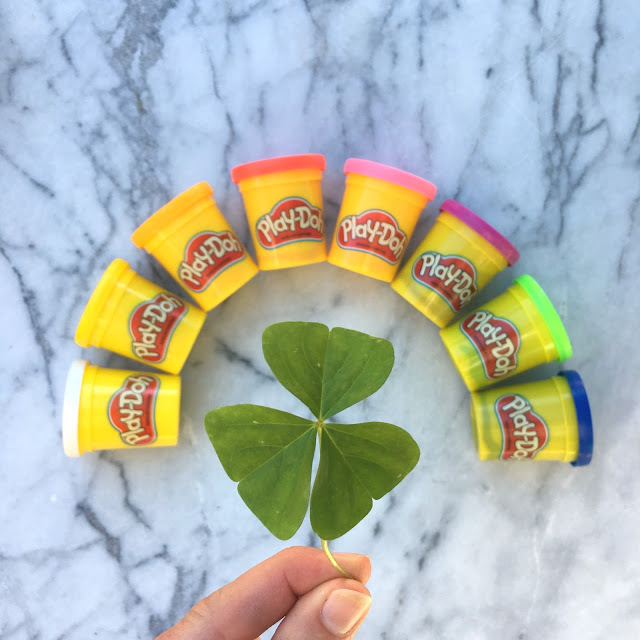 and they are a leprechaun approved St. Patrick's Day gift.